Ellen DeGeneres is bringing back “Momsplaining With Kristin Bell” for a second season. Produced via “The Ellen DeGeneres Show,” the first season of the comedy series had more than 7 million views on DeGeneres’ YouTube channel, which has more than 28 million subscribers. For season two, “The Ellen DeGeneres Show” is partnering with Johnson’s — the maker of baby products like shampoo and body wash — to present the show, where Kristin Bell gives advice on how to master motherhood. On the newest episode available on Friday, Bell surprises “The Ellen DeGeneres Show” executive producer Andy Lassner with the opportunity to experience some of the “glories” of childbirth with a labor pain simulator machine. The six-episode series will be distributed on ellentube.com, Degeneres’ online video hub, and on Ellen’s YouTube channel. Launched in 2014, Ellentube serves as a way to drive traffic to the company’s owned and operated website instead of relying solely on YouTube. Created by DeGeneres and “The Ellen DeGeneres Show” executive producers, Mary Connelly, Ed Glavin and Andy Lassner, the site hosts exclusive video from her daytime program as well as user-generated content submitted by fans. 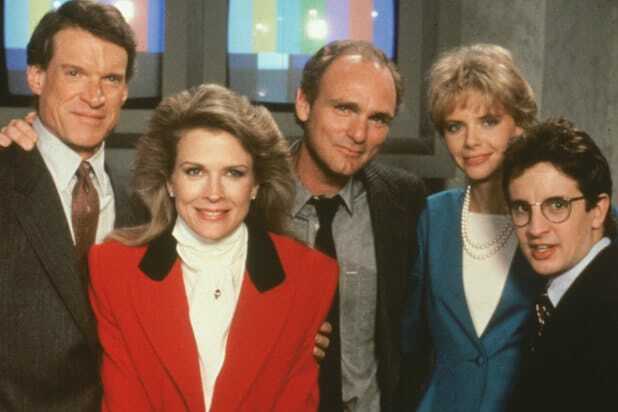 “Murphy Brown” has returned to television on CBS for 13 episodes, with the new season premiere airing to modest ratings on Thursday. While a lot has changed in media since Candice Bergen’s Brown hosted the fictional news broadcast “FYI,” one thing that hasn’t changed is how hard it is to find good help. One of the show’s longest recurring gags was how nearly every week Brown had a wacky and incompetent new secretary, everyone from a man with a Hitler mustache to a pleasant looking woman who worshiped Satan. More than 90 people sat in that assistant’s chair over the show’s 10 seasons, including some celebrity cameos, but not one of them lasted. Pee-Wee Herman himself helped out Murphy Brown, appearing in six episodes of the show as Stan Lansing’s nephew. Before Marcia Wallace was Edna Krabappel on “The Simpsons,” Wallace had a part on “The Bob Newhart Show” as Bob Hartley’s dynamo of a receptionist Carol Bondurant. During a special crossover episode of “Murphy Brown,” Carol proved to be Brown’s best secretary ever, a real keeper. But at the end of the episode, Bob rushes into the office and begs for Carol to come back and work for him, despite Brown’s pleading. When Kramer (Michael Richards) heads out to Los Angeles on an episode of “Seinfeld,” Jerry and Elaine spot him on an episode of “Murphy Brown” as another new secretary. His rapid-fire typing is hysterical, and the show even teases that she has “a good feeling” about him. Murphy Brown would’ve been lucky to have fellow single-mother Norma Rae as her secretary, or better yet her “Absence of Malice” journalist Megan Carter, but instead she got Kathleen Dubek, secretary 91. The final season of “Murphy Brown” featured a cavalcade of celebrity cameos, including Rosie O’Donnell as a particularly annoying singing secretary. Rickles would’ve been in his 70s by the time he stepped into the secretary job during the show’s final season. In the show’s stellar finale, Bette Midler took charge as secretary Caprice Feldman. “Caprice! With two Cs, interlocking like Chanel!” Her wealthy socialite type was always told by her (dead) husband that she could never hold down a job. Well, she picked one with quite the track record.